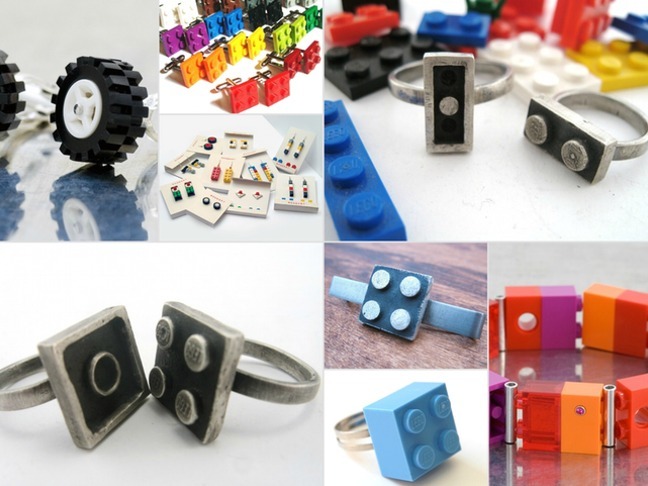 There is certainly no shortage of Etsy sellers finding new ways to use LEGO bricks these days–a quick search and you’ll find more than 4,700 listings. 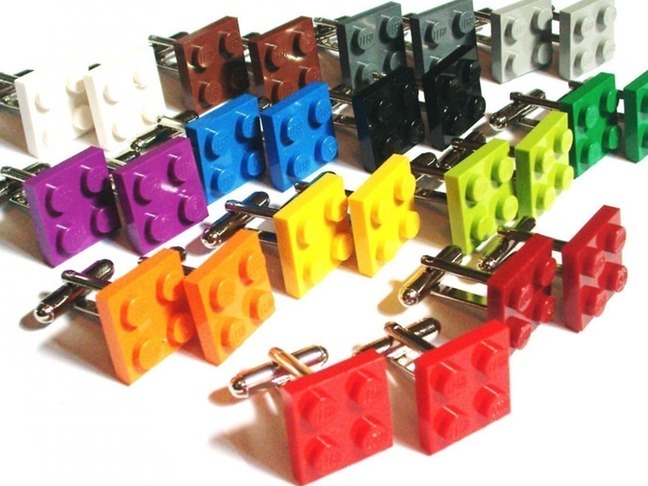 Here are eight examples of the creative ways they are turning the bricks into jewelry. Show that special someone that you think you’re a perfect fit with this sterling silver Interlocking Ring Set from Etsy seller rubygirl. Available for $125. 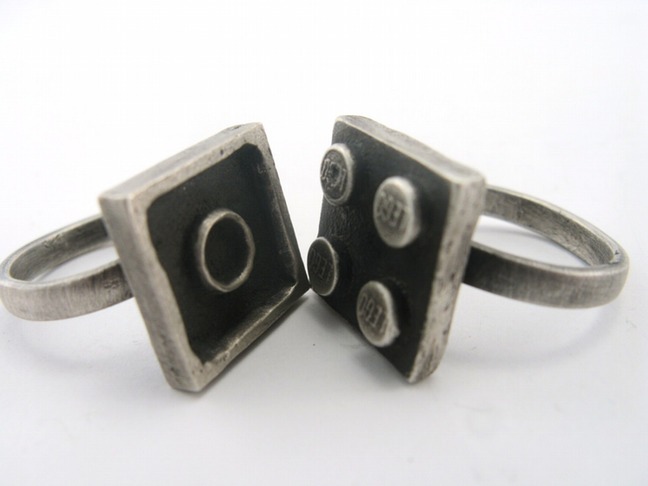 An alternate 1×2 version of the Interlocking Ring Set for those seeking something a little slimmer. Available from Etsy seller rubygirl for $95. More great LEGO looks after the flip. 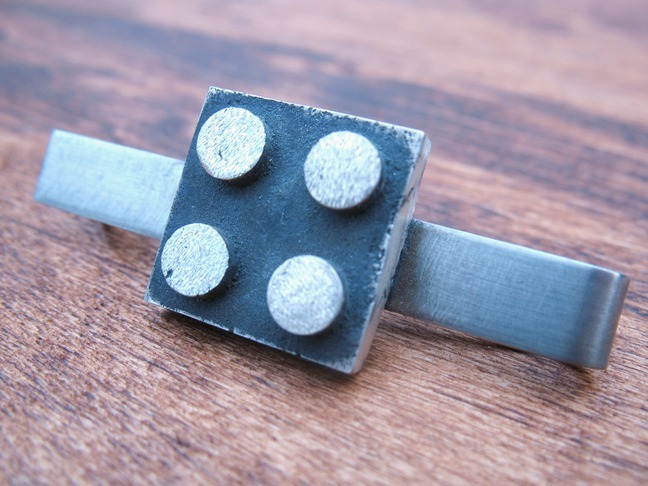 Show your love for all things LEGO with this 2X4 Building Block Tie Bar, another hand cast sterling silver design from Etsy seller rubygirl. The silver brick works with original plastic bricks so you can mod it out to fit your mood! Available for $62. 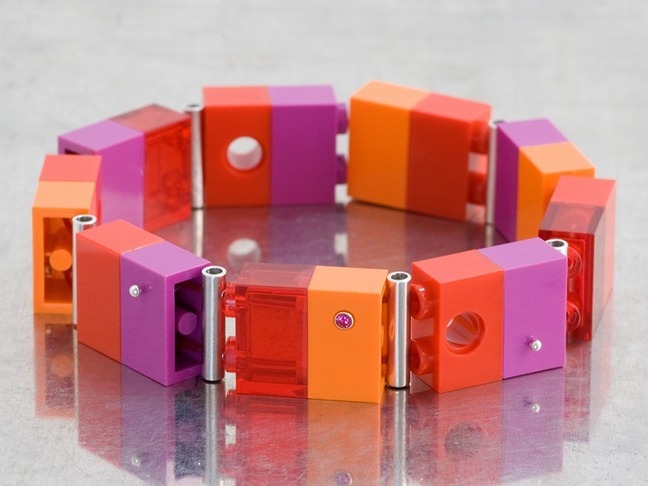 Etsy seller rewarestyle bumps it up a notch with this Mango Gem Slim LEGO Bracelet, made from repurposed LEGO, sterling silver tubing, amethysts set in 14k yellow gold, and rubber stretch cord. Available for $85. 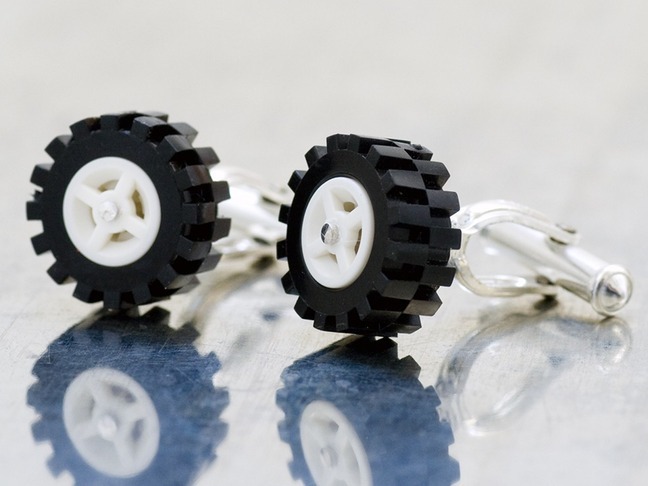 If wheels are more your thing, Etsy seller rewarestyle has you covered with these White Tire LEGO cufflinks. 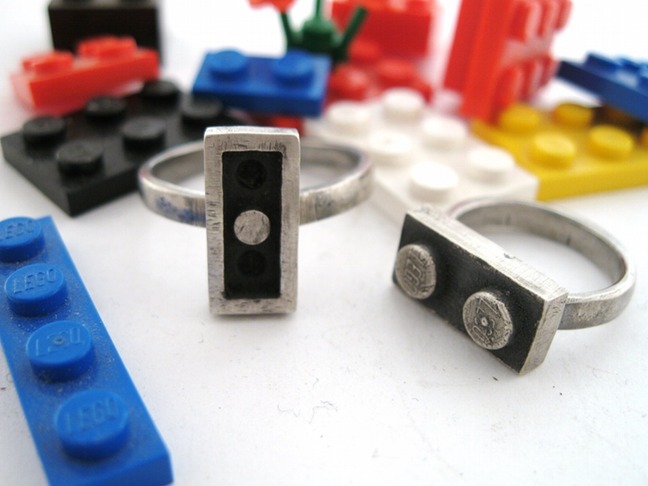 Made from repurposed LEGO, rubber and sterling silver. Available for $150. 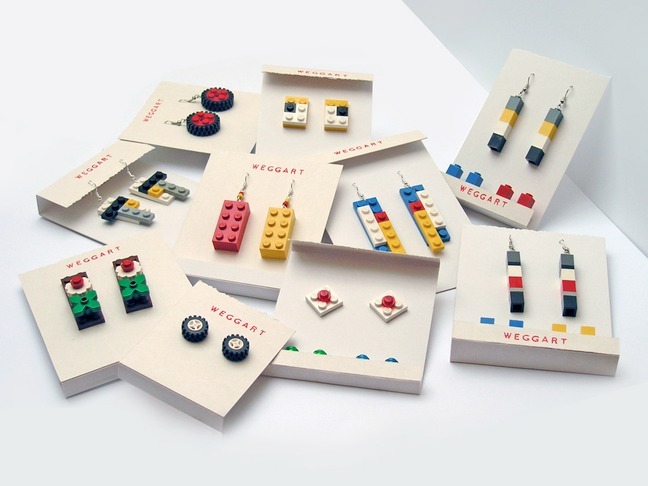 Etsy seller Weggart offers an assortment of Pick-A-Brick ring, earring and bobby pin sets ranging from $11-12 each. 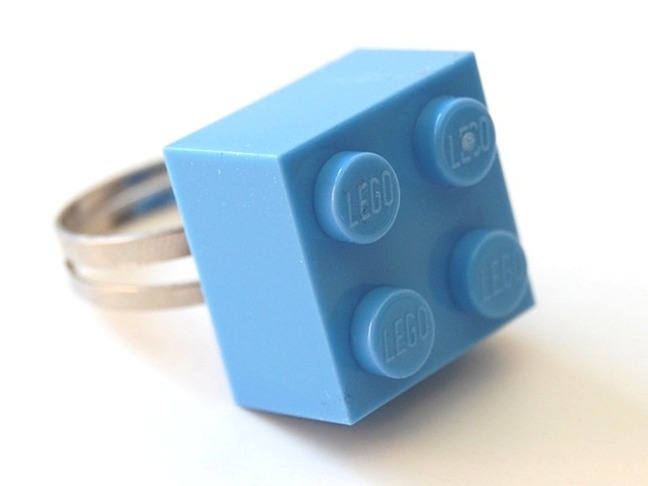 This LEGO brick ring is available in an assortment of colors from Etsy seller ChocolateMintCrafts for $4.50.